In 2012, I worked for LEGO Education as an external programmer, to develop the programs for the EV3 Education EV3 sets. So I had chance to visit the LEGO Idea House musem in Billund (Denmark). In there, I visited the Education room, where you are invited to take 6 bricks from a sealed bag, to build a duck. 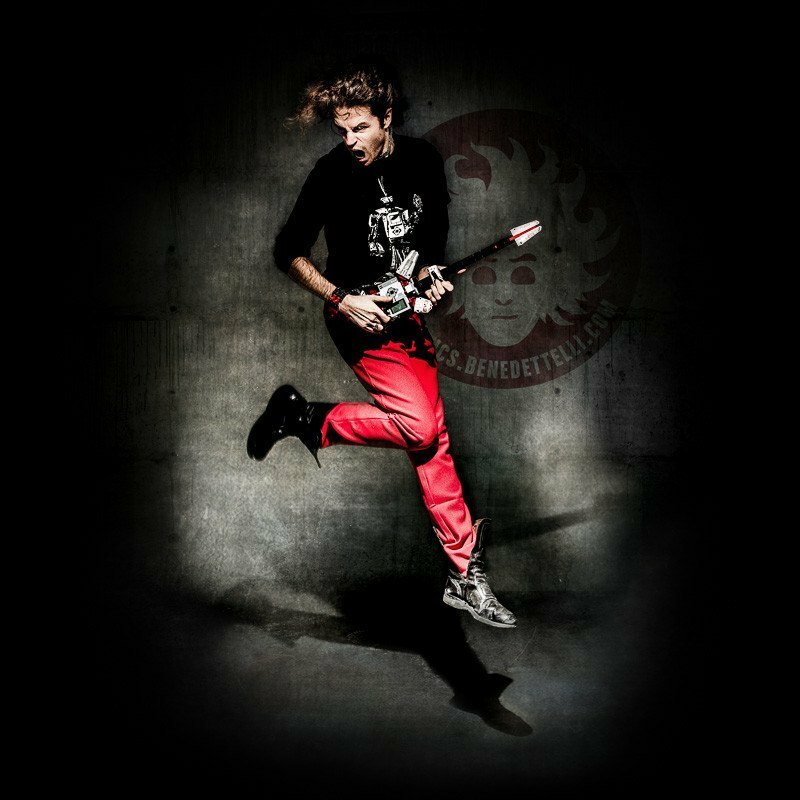 You try, there’s no right or wrong, just unleash your creativity! Then you are invited to put your duck in a showcase, and you discover that there are already dozens of ducks different from yours, even though made with the same 6 bricks! Amazing! Since then, I built something like 50 different ducks from the same 6 bricks, just for fun. Now I bring those bricks with me, to make this little creativity experiment in the classrooms and in every conference or workshop I hold. Below you can see the LEGO Duck Maker version 2.0 with the brick magazine, version 1.5, and the slower version 1.0. 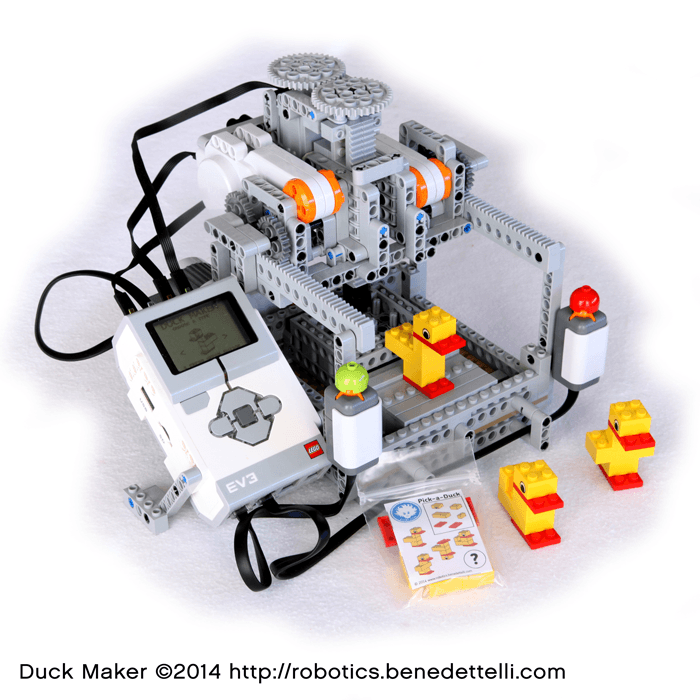 During 2013 Christmas holidays, I decided to build this automatic LEGO Duck Maker machine. I was aware of the many LEGO MINDSTORMS models that can assemble cars, cars, cars, cars, cars, aircrafts, generic brick models, any kind of models. They are cool indeed, but bulky and very very slow. 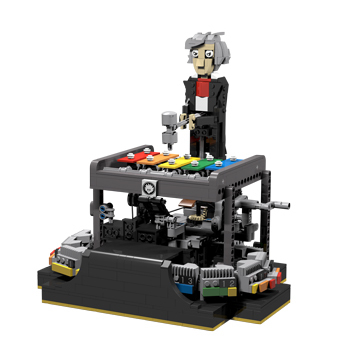 I wanted a lighting fast machine, that could assemble any kind of duck made with the same 6 bricks in few seconds. 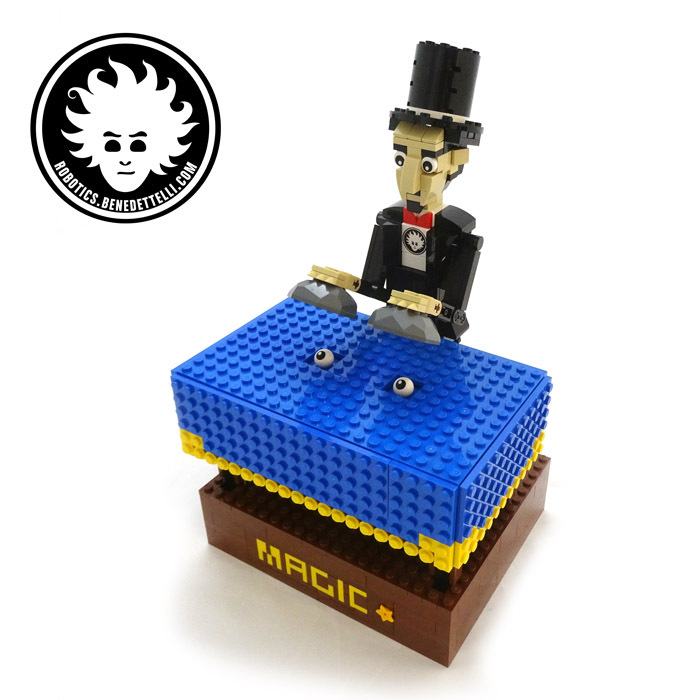 I built and programmed my LEGO Duck Maker in just 24 hours (2-3 working days), using the EV3 brick to drive the 4 motors I needed. 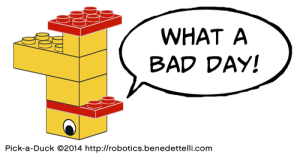 The LEGO Duck Maker itself is meant to be part of the larger Pick-a-Duck project which will include a proper warehouse for the bricks, and might become a vending machine. After having published the first Youtube video about my Duck Maker, I discovered that a duck maker machine already existed, the DuckPro. It can assemble just one kind of duck, made with just 3 LEGO pieces. 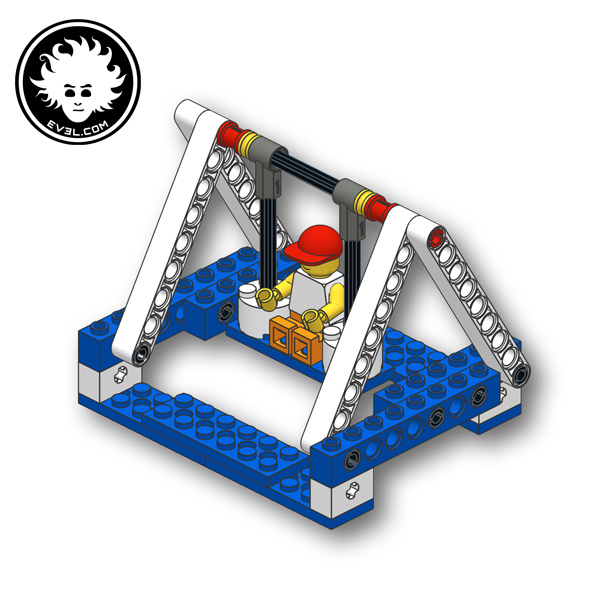 The LEGO Duck Maker 1.5 is basically a cartesian manipulator robot with 4 degrees of freedom: linear movement on three axes X, Y and Z, and tool rotation. 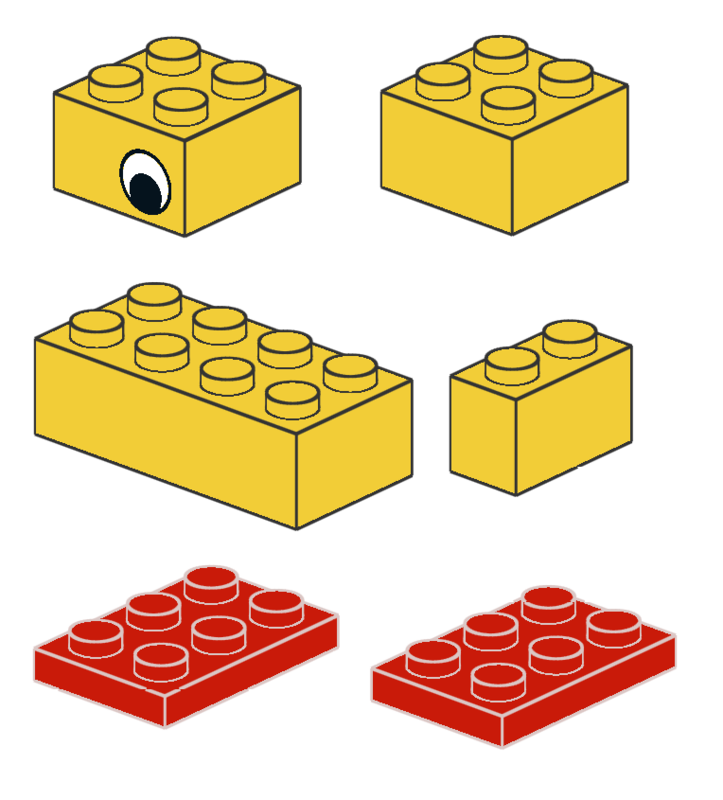 The rotation is used both to rotate LEGO bricks before placing them, and to drop them. The tool can pick the bricks just by pressing on them, and can release them once they are attached to the platform or to the other bricks, by rotating the tool and lifting. Assemblying a duck a brick at a time takes about 23 seconds, while assemblying the duck by stacking it before dropping it to the platform takes just 12 seconds. Not all kind of ducks can be assembled in the fast mode. The LEGO Duck Maker 2.0 features a gravity magazine that can hold parts to build 8 ducks. It is simpler than the previous versions, having just 2 degrees of freedom. 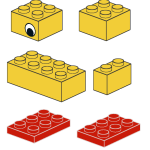 In version 1.0 and 1.5, the 6 bricks must be manually loaded in the machine drawer. The new version 2.0 can load a lot of bricks automatically, and build many ducks in series, one after another. Version 1.5 could build just 3 kinds of ducks, version 2.0 can build 14 hard-coded kind of ducks. The next challenge is to develop a software to enable the Duck Maker machine to create random ducks on the fly. Can a robot actually create new original objects? The DUCK MAKER 4 can create random ducks, but cannot determine which ones look like a duck and which not.